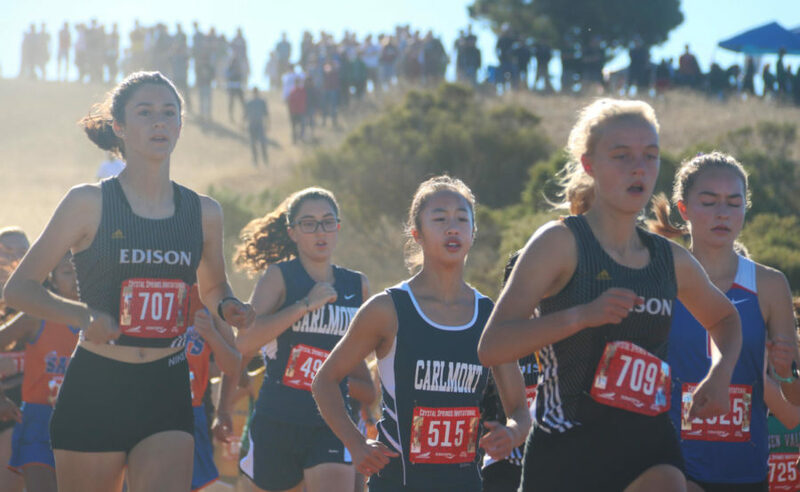 With the sound of a gun, the girls varsity race began with a sharp decline at the Serra Invitation on Saturday 10/6. 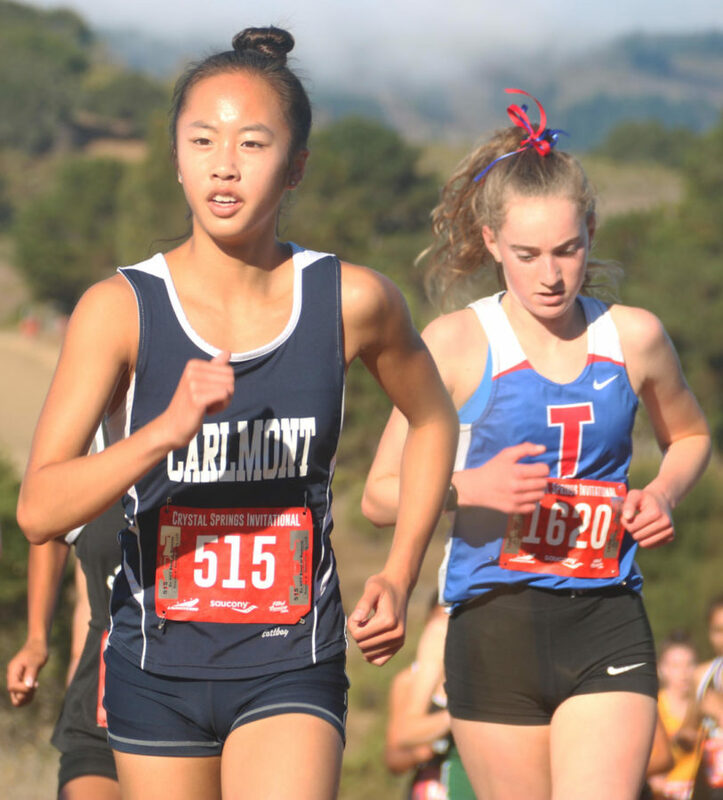 Normally it’s the top seven runners who make the girls varsity team, but as varsity ran the Clovis Invitational, it was up to sophomores Amanda Joe, Ashlyn Kwan, Emily Kim, Miriam Bacigalupi, Bella Hopewell, freshman Anna Burford, and junior Maya Litvak to step in and represent Carlmont at the Serra Invitational. Despite the heat and rolling hills, the girls persevered throughout the race and ran their way to ninth place on Saturday’s meet (Oct. 6) at the Crystal Springs Cross Country Course. 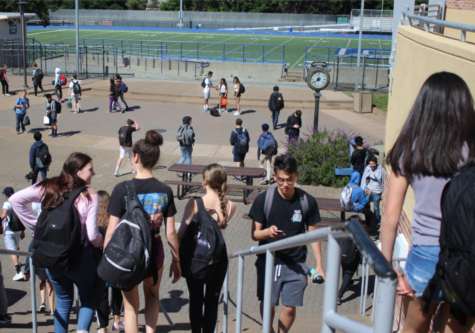 Sophomore Ashlyn Kwan lengthens her strides with just a quarter of a mile left in the race.